Dr. Salvaggio graduated from L.S.U. School of Dentistry in 1989 and is a graduate of Tulane University where his primary subjects of interest were science and studio art. Since the practice of dentistry is to a certain degree an expression of both of these disciplines, the decision to enter the dental profession was an easy one for Dr. Salvaggio. In addition to the completion of numerous hours of professional continuing education, Dr. Salvaggio has also refined his artistic skills by participating in various studio art classes, including ceramics and blown glass. Dr Joseph J Collura has worked at the forefront of cosmetic dentistry for more than 30 years, providing top quality care and brighter smiles to patients all over the New Orleans region. He specializes in cosmetic dentistry, single-tooth to complete-mouth implant treatment, root canal therapy, non-surgical gum care and prevention and treatment of bite related problems, He has been honored with a guest faculty position with the prestigious Scottsdale Center for Dentistry. The Center, led by world-renowned faculty, provides the latest in programs, seminars and hands on training. Dr. Collura's Metairie-based practice features individualized care and advanced methods of cosmetic dentistry. He offers a full range of services to create a healthier smile, including tooth colored fillings, porcelain crowns (caps), and porcelain fixed bridges, porcelain veneers, Emax porcelain crowns and tooth whitening. He is licensed by the Louisiana State Board of Dentistry for conscious sedation and nitrous oxide analgesia. When you visit Dr. Joseph Collura, you'll realize you're not just any number on his appointment chart - you're number one. It's so important to him that you enjoy coming to the dentist, he has created an open and relaxing atmosphere facing Lake Pontchartrain. When you're with Dr. Collura, you're his only concern. He'll perform a thorough exam and explain his findings. During your one-on-one discussion, he'll answer your questions and give you all the information you need on any recommended treatments. Whether you want to enhance the appearance of your smile with cosmetic or reconstructive work or you just want a regular exam and cleaning, you can rest assured Dr. Collura will care for you...and your smile. A graduate of LSU School of Dentistry, Dr. Joseph J. Collura has helped hundreds of patients achieve their dreams of the ultimate smile. As a Cosmetic Dentist, his goal is to develop a winning relationship based on the individual needs of each patient offering the finest in porcelain veneers and other cosmetic procedures. 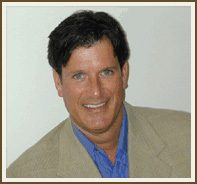 In order to accomplish this Dr. Collura has participated in extensive continuing education programs for over 30 years. His course work includes: Cosmetic Dentistry, Advanced Restorative Dentistry, Implant Treatment, Root Canal Therapy, Non-Surgical Gum Care and Prevention & Treatment of Bite Related Problems. Dr. Collura welcomes your calls and looks forward to caring for you...and your smile.